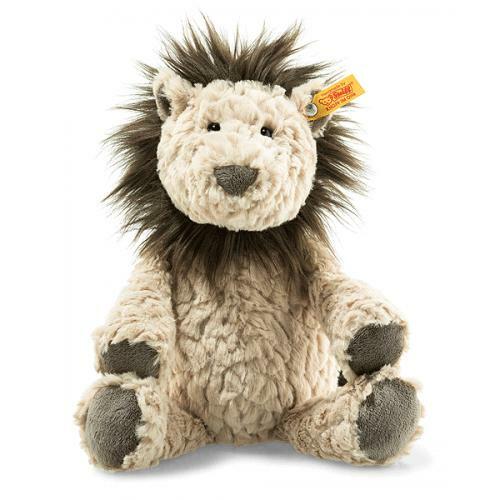 Lionel Lion is hand made in the finest beige and brown cuddly soft plush. 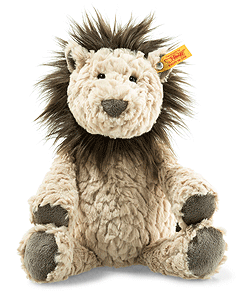 There's no need for anyone to be afraid of the 30 cm tall Soft Cuddly Friends Lionel lion. On the contrary, any small child will be delighted to join him for endless fun adventures. Lionel lion's colours are beige and brown. His soles and paws, nose, fluffy mane, tuft on his tail and inner ears are brown, which contrasts nicely with his lighter-coloured fur. His embroidered mouth is black. Bean bags in his paws and bottom ensure that he stays upright.